Multiple polyp patients are a clinically heterogeneous group. Classical familial adenomatous polyposis (FAP; OMIM 175100) is caused by mutation of the APC gene which activates the Wnt pathway (Bodmer et al. 1987; Groden et al. 1991; Clevers 2006). This gene is somatically mutated in approximately 70% of sporadic colorectal cancer. FAP is characterised by over a hundred colonic adenomas, and a high penetrance of colorectal cancer with an average age of cancer presentation of 39 years. There are also extra-colonic manifestations including intra-abdominal desmoids, duodenal adenomas and congenital hypertrophy of the retinal pigment epithelium (CHRPE). In attenuated FAP (AFAP) there is a later age of onset of colorectal cancer with a lower penetrance. The polyps number 10-100 in affected individuals. This arbitrary distinction is based on clinical characteristics, merely representing different ends of the same phenotypic spectrum of FAP. Germline mutations in APC account for up to 15% of patients with 5–100 adenomas and can be partitioned out as AFAP. From the perspective of APC mutations, the most important functional domains of the APC gene appear to be the first serine alanine methionine proline (SAMP) (axin binding) repeat at codon 1580(Smits et al. 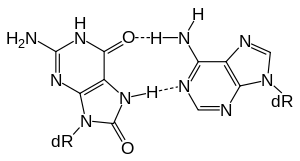 1999) and the first, second and third 20-amino acid repeats (20AARs) involved in ß-catenin binding and degradation. The great majority of pathogenic APC mutations truncate the protein before the first SAMP repeat and leave a stable, truncated protein that encodes 0-3 20AARs. The ‘just-right’ model. The figure shows the multiple domains of the APC protein and the correlation between the position of the germline mutation and that of the somatic mutation. (a) Germline mutations between the first and the second 20AAR are associated with LOH. (b) Germline mutations before the first 20AAR are associated with somatic mutations between the second and third 20AAR. (c) Germline mutations after the second 20AAR are associated with somatic mutations before the first 20AAR(Segditsas and Tomlinson 2006). APC is a classic tumour suppressor gene, requiring two hits for inactivation (Knudson 1971). In colorectal tumours from FAP patients, the germline wild-type allele either undergoes loss of heterozygosity (LOH) or acquires a protein-truncating mutation. Most somatic mutations occur in a restricted region of the gene, the mutation cluster region (MCR) (Miyoshi, Nagase et al. 1992). The reason for the MCR and relatively low frequency of LOH at APC was discovered from studies of FAP (Lamlum et al. 1999). It was found that LOH is strongly associated with germline mutations between the first and second 20AAR (codons 1285-1379). Germline mutations before codon 1280 are associated with somatic mutations between the second and third 20AAR (codons 1400 and 1495); and germline mutations after codon 1400 are associated with somatic mutations before codon 1280 (Lamlum, Ilyas et al. 1999; Albuquerque et al. 2002; Crabtree et al. 2003), Most tumours end up with APC alleles that encode a total of two 20AARs(Figure 1‑4). Similar associations exist for sporadic colorectal cancers. This association has been proposed to cause an optimal level of Wnt signalling/ß-catenin activation (Lamlum, Ilyas et al. 1999; Albuquerque, Breukel et al. 2002). Whatever the case, it is clear that selective constraints act on colorectal tumours such that some combinations of APC mutations provide a superior growth advantage for the tumour cell. This is known as the ‘just right’ hypothesis. There is evidence of a genotype-phenotype relationship with regard to APC mutations. AFAP is associated with germline mutations in three regions of APC: 5’ (codon 1580); and the alternatively spliced region of exon 9 (Knudsen et al. 2003). Mutations close to codon 1300 are the most commonly found and are associated with a severe phenotype, typically producing over 2000 polyps and earlier-onset colorectal cancer (Nugent et al. 1994; Debinski et al. 1996). De novo mutations of APC occur in approximately 20% of FAP. In a small study de novo mutations of APC were found to be more commonly of paternal origin (Aretz 2004). The Wnt signalling pathway is activated in approximately 75% of colorectal cancer, and is one of the key signalling pathways in cancer, regulating cell growth, motility and differentiation. APC binds to the ß-catenin protein which functions in cell adhesion andas a downstream transcriptional activator in the Wnt signallingpathway (Wong and Pignatelli 2002). Somatic mutations in ß-CATENIN usually delete the whole of exon 3 or target individual serine or threonine residues encoded by this exon (Ilyas et al. 1997; Morin et al.). These residues are phosphorylated by the degradation complex that contains APC, and hence their mutation causes ß-catenin to escape from proteosomal degradation. These mutations are particularlyassociated with HNPCC tumours (but not sporadic MSI tumours) (Johnson et al. 2005). However, less than 5% of all sporadic colorectal cancer has mutation in ß-CATENIN. In addition somatic mutations have been reported in AXIN1 (Webster et al. 2000) and AXIN2 (Suraweera et al. 2006), the importance of which is uncertain. Damaged DNA is repaired by several mechanisms, one of which involves a family of enzymes involved in base-excision repair (BER). The MYH gene encodes a DNA glycosylaseinvolved in the repair of the oxidative lesion 8-oxoguanine, a by-product of cellular metabolism and oxidative damage of DNA. gene. G to T transversion mutations were also identified in KRAS in codon 12 (Lipton et al. 2003). The adenoma to carcinoma pathway in MAP does not involve BRAF V600E, SMAD4 or TGFBIIR mutations, or microsatellite instability, and the cancers are near-diploid (Lipton, Halford et al. 2003). Thus, tumours with germline MYH mutations tend to follow a distinct pathway. The term MYH-associated polyposis (MAP) may be misleading as up to 20% of biallelic MYH mutation carriers are diagnosed with colorectal cancer without polyposis (Wang et al. 2004). Biallelic mutations in MYH have been found to account for approximately 10% of polyposis patients, but <1% of all colorectal cancer (Halford et al. 2003; Wang, Baudhuin et al. 2004). The largest population study to date indicates that approximately 0.2% of all colorectal cancer is caused by biallelic mutations in MYH (Webb et al. 2006). It was demonstrated in the same study that monoallelic MYH mutations are not associated with an increased risk of colorectal cancer. The MAP phenotype typically falls in to the AFAP group, with extra-colonic manifestations consisting of duodenal polyps but not intra-abdominal desmoids. Among Caucasians approximately 80% of mutations in MYH causing MAP are Y165C or G382D (Sieber, Lipton et al. 2003). The E466X mutation is a common founder mutation among Pakistani populations, and the most common mutation in the St Mark’s Hospital MAP population (unpublished data). Y90X is a founder mutation in Indian populations (Sieber, Lipton et al. 2003). Hereditary mixed polyposis syndrome (HMPS OMIM 601228) is a mixed colorectal tumour syndrome which has been linked to the CRAC1 locus on 15q13-14 (Thomas et al. 1996; Jaeger et al. 2003). It is a rare condition found in a few families of Ashkenazi descent, with an autosomal dominant inheritance, mixed juvenile, adenomatous and hyperplastic polyps, as well as colorectal cancer (Whitelaw et al. 1997). The best screening protocol for polyps in HMPS is not clear as the condtion is rare. In addition genome-wide association revealed common low-penetrance predisposition alleles at the CRAC1 locus which are linked to sporadic colorectal cancer risk (Jaeger et al. 2008). The gene which causes HMPS was recently identified as a 40kb duplication upstream of the gene GREM1 at the CRAC1 locus (Jaeger et al 2012) which causes disruption of the BMP pathway, a pathway also disrupted in Juvenile Polyposis Syndrome. The first series of mixed hyperplastic-adenomatous polyps were described in 1990 (Longacre and Fenoglio-Preiser 1990), and have been an increasingly recognised phenomenon. Most hyperplastic polyps have no malignant potential, although some recent studies have indicated that some have malignant potential, especially those with serrated architecture (sessile serrated adenomas – SSAs), large hyperplastic polyps, mixed polyps and polyps on the right side of the colon (Torlakovic et al. 2003). Some evidence suggests that some but not all of these tumours develop along a ‘serrated pathway’ separate from the classical adenoma-carcinoma sequence (Sawyer et al. 2002; Spring, Zhao et al. 2006). This serrated pathway involves one group who accumulate BRAF V600E mutations and another separate pathway which involves KRAS mutations(Carvajal-Carmona et al. 2007). In addition the tumours often have methylation of the MLH1 promoter with subsequent microsatellite instability and CIMP phenotype(Jass 2005). An inherited hyperplastic polyposis syndrome (HPS) has also been increasingly recognised (Cohen et al. 1981; Sumner et al. 1981). In HPS, multiple serrated polyps develop in the colorectum, and approximately 50% of cases present with at least one CRC (Ferrandez et al. 2004; Young and Jass 2006). In the WHO criteria, Burt and Jass defined HPS as at least five HPs proximal to the sigmoid colon, two of which are > 1 cm diameter, or more than 30 HPs at any site in the large bowel (Burt 2000). Rashid et al, however, used a different classification system, in which HPS was defined as any person with more than 20 HPs, and separate classes were used for patients with large (>1 cm diameter) or multiple (5-10) HPs (Rashid et al. 2000). These differing classification systems reflect a syndrome which may be both genetically and phenotypically heterogeneous, but one which is becoming increasingly recognised. This is a mixed histology polyp from an affected individual in a large hyperplastic polyposis family. It contains both villous, serrated portions, the latter contains a zone of high grade dysplasia with BRAF mutations, the villous section was BRAF wild type. HPS (sometimes known as the ‘serrated pathway syndrome’ (SPS)) may, in fact, be a heterogeneous group of conditions leading to sporadic and inherited cases of colorectal neoplasia. There are two alternative clinical criteria for the diagnosis of HPS families (Burt 2000; Rashid, Houlihan et al. 2000). This syndrome is usually associated with somatic mutations in either BRAF or KRAS, but not both together (Carvajal-Carmona, Howarth et al. 2007), providing further evidence of molecular as well as phenotypic heterogeneity. BRAF mutations are associated with low-grade microsatellite instability due to methylation in CpG islands (CIMP)(Young, Jenkins et al. 2007). 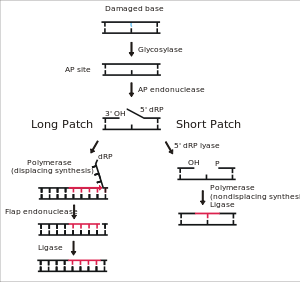 This may result in loss of expression of DNA repair genes MLH1 and MGMT (O(6)-methylguanine-DNA methyltransferase) in dysplastic mixed polyps from HPS patients, possibly as a result of promoter methylation (Oh et al. 2005). Linkage analysis in a large family affected with hyperplastic polyposis syndrome deomstrated a maximum LOD score of 2.71 on the short arm of chromosome 8 (8p.21; Monahan et al 2007). Germline mutations in exon 7 of the AXIN2 gene have recently been very rarely associated with a predisposition to colorectal polyposis and tooth agenesis ((Lammi et al. 2004) OMIM 608615). Somatic mutations have been found in AXIN2 previously, but germline mutations have not been found in other studies (Lejeune et al. 2006). Unknown genetic predispositions account for over 50% of all patients who develop 10-100 colorectal adenomas during their lifetime, and for about 20% of those with more than 100 polyps(Lamlum et al. 2000) (Spirio et al. 1993). To develop as many as 10-100 colorectal adenomas is a priori indicative of an inherited predisposition and many of these patients have a family history of multiple polyps. It is overwhelmingly likely, therefore, that the remaining multiple polyp patients have an inherited disease of an unknown genetic origin. Molecular characterisation of tumours from these patients remains deficient. Lynch Syndrome (also known as Hereditary non-polyposis colorectal cancer(HNPCC; OMIM 120435)) accounts for approximately 2.2-4% of all colorectal cancer (Hampel et al. 2005). Lynch Syndrome is a familial cancer syndrome which accounts for approximately 2-3% of all colorectal cancer in the UK. It has formerly been known as Hereditary Non-Polyposis Colorectal Cancer Syndrome (HNPCC), however the phenotype is more complex with multiple extracolonic tumours, for example, so this term has now been largely abandoned. An Irish family tree with Lynch Syndrome caused by an inherited mutation in MSH2. Members of this family are affected predominantly with colorectal cancer (CRC), but also small bowel cancer (SBCa), Gastric, Pancreatic, Uterine and other cancers, as well as conditions not linked to Lynch Syndrome such as Crohn’s disease. LS is an autosomally dominant inherited condition commonly caused by germline mutation in one of four DNA mismatch repair genes, MLH1, MSH2, MSH6 and PMS2. A minority of these families may be identified because they have multiple affected members diagnosed at an early age. The Amsterdam Criteria I and II (Vasen et al. 1993; Vasen et al. 1999)(see below) identify patients for colonoscopic and other screening. Approximately 40-80% of patients meet these criteria, with 50% of the remainder meeting the modified criteria which include extracolonic cancers. The revised Bethesda criteria (Umar et al. 2004) are used to identify patients for molecular screening of HNPCC, i.e. microsatellite instability ± immunohistochemistry studies. Approximately 80% of patients are identified using the Bethesda criteria, although the specificity is low. As for Amsterdam I except that CRC may be substituted by cancer of endometrium, small bowel, or pelviureter. Most families with LS, however, do not fulfil the Amsterdam criteria. The Revised Bethesda criteria are another set of diagnostic criteria designed to increase the diagnostic yield of testing for LS . For example, all individuals diagnosed under the age of 50 years should be tested for the molecular features of LS in their tumours. If molecular testing is diagnostic of LS, it can subsequently determine which families should undergo colonoscopic and other investigations, and to screen other high risk family members. The Revised Bethesda guidelines are designed to streamline the clinical diagnostic pathways used to identify mutation carriers in patients with colorectal cancer who might or might not fulfil the Amsterdam criteria, thus increasing diagnostic yield screening for LS. The identification of such families with Lynch syndrome involves an extensive diagnostic work up comprising of various screening tools combined with genetic and immunohistochemical tests. Initially the tumour from an affected individual may be tested for features suggestive of this condition by either immunohistochemistry of the mismatch repair proteins and/or DNA microsatellite instability (a hallmark of faulty DNA mismatch repair). If either of these tests are abnormal, then germline testing may be performed to identify a putative heritable mutation in one of the causative genes. Patient selection using Amsterdam and revised Bethesda criteria have been applied to clinical pathways in the United Kingdom through the use of national guidelines. Given the implication of family history and known mortality benefit, the early recognition of Lynch syndrome is highly desirable. There have been concerns over the sensitivity, specificity, and predictive value of already existing guidelines. About 22% of affected individuals do not fulfil either Amsterdam or the Revised Bethesda criteria. As Barnetson et al argues, there might be multiple reasons for this such as small family size, unknown or inadequately taken family history, adoption, and patients without available tumour data . A number of alternative screening models have been developed, such as MMRpredict, PREMM 1,2,6, MMRPro, and MsPath whilst searching for a careening tool that is simple, accurate, and clinically useful for predicting the likelihood of Lynch Syndrome. There is a slight preponderance of right-sided tumours (70% proximal to the splenic flexure) in Lynch Syndrome. It is a highly penetrant condition which also features extracolonic cancers such as endometrial and gastric cancer. The adenoma to carcinoma sequence is rapid with interval cancers occurring in 5% of patients despite two-yearly colonoscopic surveillance (Jarvinen, Aarnio et al. 2000). The tumours are characteristically associated with a local lymphocytic infiltrate and a good prognosis when surgically resected (Jass 2000; Takemoto et al. 2004). Screening tumours for Lynch Syndrome – is it cost effective? There are clinical and economic trade-offs when implementing screening protocol on a large scale. As nondirected germline mutation testing for Lynch syndrome is prohibitively expensive at £1000 per gene, MSI and IHC are the screening tests of choice. In view of high costs of testing of all colorectal cancers for MSI or loss or MMR protein, an approach described by Heather Hampel of The Ohio State University, the Revised Bethesda Guidelines were felt to be an appropriate tool to select patients for genetic testing. However, the question remains open: is the “reflex” molecular tumour testing justified clinically and economically? Kastrinos et al, have looked into the popularity of the universal testing across several centres in US. Unsurprisingly, a pessimistic picture emerged showing the low uptake of the concept. The benefits of the universal testing are counterbalanced by practical problems such as an informed consent controversy, practicalities of dealing with the complexity of test results and the resultant implications. The fact that the cost effectiveness of this approach has not been yet validated plays heavily against such approach. In US, Ramsey et al have carried out a study looking at cost-effectiveness of different strategies for identifying of persons with Lynch syndrome. The average cost per carrier detected using Bethesda guidelines was $15,787, and expanding this strategy to include costs and benefits for first degree relatives greatly improves the cost effectiveness of the program. Expanding the program to first degree relatives leads to savings from intensive screening to exceed the cost of testing. In Europe, Pinol et al, has carried out a similar study evaluating cost-minimization analysis of identification strategies for MSH2/MLH1-associated Lynch syndrome. Authors concluded that clinical selection of patients using the Revised Bethesda Guidelines followed by either MSI analysis (€11,989 per detected mutation) or IHC (€10,644 per detected mutation) has proved to be more cost effective than performing any of these tests directly (€32,140 and €37,956 per detected mutation, respectively). Further research has been carried out by Dinh et al in 2010 looking at the cost effectiveness of MMR gene mutations screening, and reached the conclusion that it is comparable to that of already established cancer screening protocols such as colorectal, cervical, and breast cancer screening. Authors argue that primary screening of individuals for MMR gene mutations, starting with the risk assessment between the ages of 25 and 35, followed by genetic testing of those whose risk exceeds 5%, is a strategy that could improve health outcomes in a cost effective manner relative to current practise with the average cost-effectiveness ratio of $26,000 per QALY. 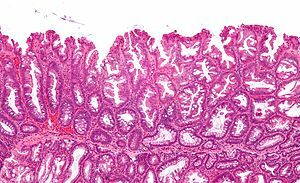 About 15% of sporadic colorectal cancers are also microsatellite unstable and feature loss of protein staining on immunohistochemistry but are not caused by germline mutations in mismatch repair genes. Often they are acquired sporadic type cancers caused by methylation of MLH1. These associated with a particular genetic pathway which differs from HNPCC by the presence of BRAF V600E mutations, the absence of β-CATENIN exon 3 mutations and a methylator genotype (Young et al. 2005) (Oliveira et al. 2005). Recently kindreds demonstrating some inheritance of MLH1 promoter methylation have been identified (Suter et al. 2004; Hitchins, Williams et al. 2005), although the evidence for this inherited epimutation is limited to a few case studies and may be related in imprinting (Chong et al. 2007; Hitchins and Ward 2007). In addition there are a number of families which fulfil Amsterdam criteria but do not demonstrate microsatellite instability (Dove-Edwin, de Jong et al. 2006). These families are termed by one group familial colorectal cancer type X (Lindor et al. 2005), and have a lower incidence of colorectal cancer occurring at a later age. The genetic aetiology is not known for these families. Approximately 93% of colorectal cancer occurs after the age of 50 years, and thus those young patients who develop cancer are likely to have an inherited or other risk factor such as chronic colitis. The genetic risk is partially made up by inherited mutations which cause HNPCC. However, there are likely to be a number of other lower penetrance genes which cause cancer predisposition, many of which may have a recessive form of inheritance and few polyps, and therefore a less clearly identifiable phenotype. If there is anything I can do to help your organization in preparation for National Colorectal Awareness Month a/o promoting information about attenuated familial adenomatous polyposis (AFAP) please do not hesitate to contact me. I appreciate you taking time to read this note and look forward to hearing from you soon.